Charming woven pot lends an air of graceful ease to our chic Miracle Amaryllis. A study in opposites, our new pairing combines a single Miracle Amaryllis bulb with a classic metal pot that features a simple and sweet woven design. 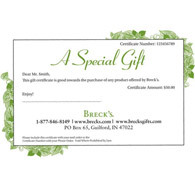 It makes the perfect gift for officemates, Secret Santa recipients, your favorite hairstylist or a beloved teacher. Bring it into your home and friends and family members alike will love the deep red blooms that appear just weeks after arrival. 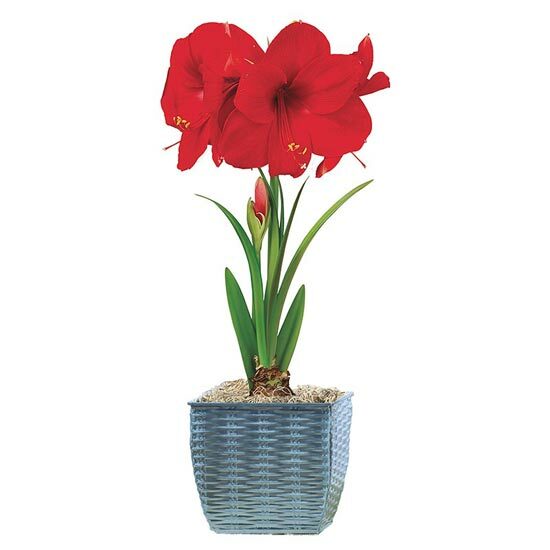 Part of our Amaryllis Lovers™ Collection. Includes detailed instructions on how to get the most from your Miracle Amaryllis this year… and for years to come. EXCLUSIVE.